We’ve written about Universal’s hoped-for dream casting of Angelina Jolie Pitt in the Bride of Frankenstein remake. Now, Variety cites anonymous sources that the studio would love for Jolie to direct as well—and actually confirms one bit of news about the film, too: it’ll be written by blockbuster veteran David Koepp. Screenwriter Koepp has worked on Jurassic Park, Sam Raimi’s Spider-Man, Mission: Impossible, Panic Room, War of the Worlds, and Indiana Jones and the Kingdom of the Crystal Skull, among others. He’s also directed films like Stir of Echoes (which he also wrote), and uh, Mortdecai. The film is part of the studio’s endeavor to expand and unify a network of classic monsters led by narrative architects Alex Kurtzman and Chris Morgan. Like so many of its current monster movies, plot details are under wraps. 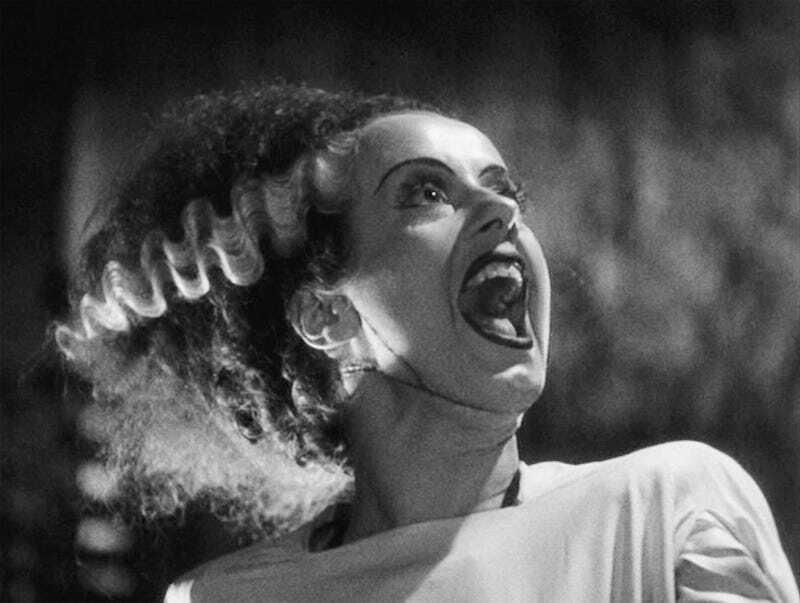 “Bride of Frankenstein” is set in the present day in order for the film’s characters to have cross-over capabilities with other monster movies. If a mega-star like Jolie Pitt comes aboard, will she get more screen time than Elsa Lanchester did in the 1935 James Whale original? And how’s Koepp gonna write a modern Dr. Pretorious? We’ll be keeping an eye on this one for sure.